While it’s possible that living in the great state of Hawaii could make us slightly biased, it really is the paradise depicted on film and we can’t think of a better place to spend your vacation. Whether your travel dreams consist of adventure, relaxation, sun and surf, nature or sports, “Paradise of the Pacific” has something for everyone. In fact, Hawaii is essentially five vacation destinations rolled in to one! The sky is the limit for adventure seekers staying in our Hawaii luxury vacation rentals. Guests can explore the 17 mile shoreline of the Na Pali coast by helicopter, and enjoy breathtaking views of towering green sea cliffs and endless waterfalls, or opt for the other end of the spectrum with Atlantis submarines. Battery powered subs taxi thrill seekers to 100 feet below the ocean’s surface to take in incredible views of our coral reef, abandoned ship wrecks and schools of beautifully colored fish! If getting up close and personal with Hawaii’s marine life is your thing, you’ll love night diving with manta rays, swimming with dolphins or green sea turtles, and even scuba diving with sharks at the Maui Ocean Center. Those looking for a more physical adventure will love one of the amazing zipline courses offered on Maui, Kauai, Oahu, and the Big Island. An increasingly popular adventure activity for Hawaii vacationers, ziplining allows you to explore Hawaii’s canyons, rainforests, and cascading waterfalls from the canopy above. We get it, for some of you a vacation just isn’t complete without the sound of the ocean and the feel of powdery sand between your toes. Rest assured, you’re not alone. The promise of sun and sand draws thousands of tourists to Hawaii each year and there are hundreds of beaches to choose from throughout our islands. From large to small, crowded to secluded, there is no shortage of sand for guests staying in our Hawaii luxury vacation rentals and here’s a link to our list of top beaches. Water activities go hand-in-hand with the beach which opens up a whole world of opportunity for water lovers. You’ll have no trouble filling your days with your pick of kayaking, jet skiing, surfing, snorkelling, scuba diving and more! While we may be world renowned for our beaches, Hawaii has just as many hiking trails which rival them in beauty. You’ll find yourself surrounded by lush tropical flora and fauna, rainforests, serene waterfalls, and the added bonus of spectacular wildlife. With hundreds of animals and plants listed as endangered or threatened, Hawaii is considered the endangered species capital of the world. Several of our plants and wildlife are endemic to Hawaii which means you won’t find them anywhere else on the planet. If that isn’t enough to draw you in, Volcanoes National Park surely will be. The entire Hawaiian island chain was created by volcanic eruptions, and the park provides an opportunity to stand face to face with one of nature’s most powerful forces. Designated a World Heritage site by UNESCO in 1987, Hawaii Volcanoes National Park is an ecological wonder and one of Hawaii’s biggest tourist attractions. The park is home to two of Hawaii’s three active volcanoes and includes 150 miles of walking trails filled with native plants and wildlife. It’s no coincidence that some of the sport’s most prestigious events are hosted here in Hawaii. Not only are we blessed with a climate that allows you to hit the green any time of year, golfing in Hawaii comes with the added bonus of breathtaking scenery and some of the most revered championship level courses in the country. With a mix of resort, private, and public access courses, there are more than 70 to choose from making Hawaii the perfect destination for golf. Click here to learn more about Hawaii’s top courses. In addition to golf, Hawaii offers vacationers the opportunity to engage in several water sports making this a great destination for the athletically inclined. Surfing is popular sport in Hawaii with several major competitions hosted here each year; however it’s important to note that many of the top surfing locations are for the experienced wave rider only. Due to aggressive surf, some of these spots can be deadly for beginners. Body boarding, paddle boarding and kayaking are other great ways to spend your time in our waters. If you enjoy fishing, there are several charter companies offering deep sea fishing adventures which is just one more way to enjoy your time here in Hawaii. This list above is just a short sampling of what makes Hawaii the perfect vacation destination. With a flourishing arts scene and some of the best restaurants in the country, there really is something here for everyone! 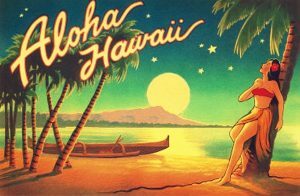 We wish you an Aloha filled day and hope to see you here soon!